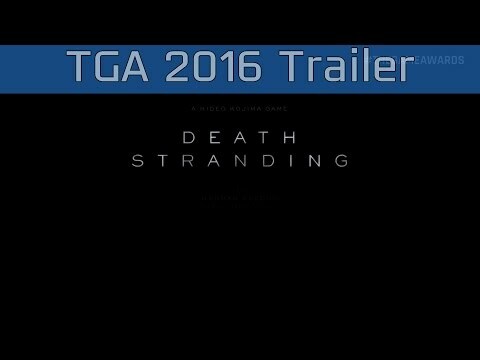 During the Game Awards 2016 event, a new trailer for Hideo Kojima’s next game, Death Stranding, revealed that actor Mads Mikkelsen will star in the game, alongside Norman Reedus. The trailer featured similar themes to that of the game’s E3 reveal trailer, including mysterious ink-monsters and cyborg-esque infants. It was revealed just after Geoff Keighley, founder of the Game Awards, honored Hideo Kojima for his work on Metal Gear Solid V: The Phantom Pain as well as his years of dedication to the industry. Metal Gear Solid V was awarded Best Action/Adventure game at last year’s Game Awards event, though Kojima was barred from accepting the award in person by Konami. Voice actor Kiefer Sutherland (Big Boss) accepted the award in Kojima’s stead.